NYC, 02/11/2019, 7:00PM. 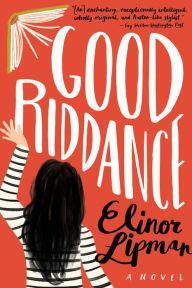 Good Riddance: Secrets of a Yearbook. In Elinor Lipman's novel, Daphne Maritch doesn't quite know what to make of the heavily annotated high school yearbook she inherits from her mother, who held this relic dear. In a fit of decluttering, she discards it when she moves to a small apartment. But when it's found in the recycling bin by a busybody neighbor/documentary filmmaker, the yearbook's mysteries---not to mention her own family's---take on a whole new urgency.